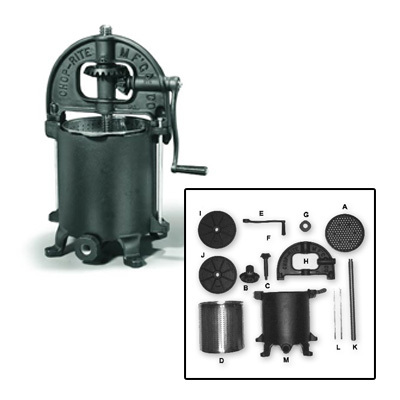 Model #35 Cast Iron Sausage Stuffing Machine. Complete with juice strainer basket and plate. Holds Roughly 16 Lbs of meat!